Hi, I am from Taiwan. 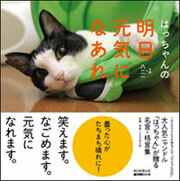 Sorry that I don't read, write or speak Japanese but the photos and films in you blog are all so great!!! 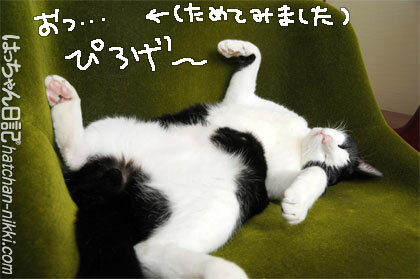 I really enjoy and please help me to say hello to はっちゃん. and I really love one picture that はっちゃん. 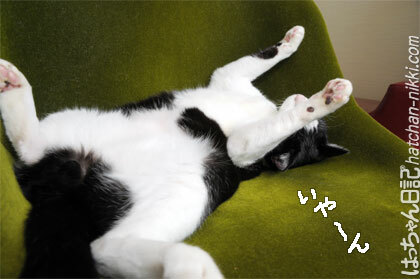 slept under the sofa and his hands up above his head and look like "萬歲!!!"